Raman spectroscopy is especially useful for reaction monitoring, product identification, remote sensing and the characterization of highly scattering particulate matter in aqueous solutions. Based on the principle discovered by Prof. Chandrasekhara Venkata Raman, it measures the result of the inelastic scattering of photons. Avantes uses the high-sensitivity AvaSpec spectrometers in combination with a 532 nm, 633 nm or 785 nm laser to give you the best result for your Raman measurements. The spectrometers are appropriately configured according to the wavelength of the laser. 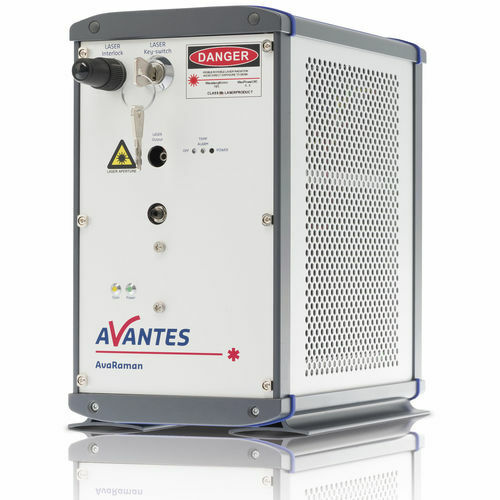 AvaRaman-TEC series spectrometers have a three-stage Peltier cooling systems, which provides ΔT down to -30°C cooling to ambient for superior dark noise reduction, keeping the detector at a steady 5°C. Thanks to the PID controller, this temperature is stable within a 0.1°C bandwidth. All AvaRaman systems are delivered with special AvaSoft-Raman software. Complementary Panorama-Pro software is available for Raman interpretation and functional group assignment. A selection of different probes is available to select the right one for your application. For more information on our software solutions including AvaSoft-Raman and Panorama-Pro, please refer to the software pages on this website.